For the past decade, Felecia Hatcher has dedicated her life to inspiring a new generation of leaders by championing tech innovation inclusion, authoring five books on topics like entrepreneurship and scholarships, and doing one-on-one consulting with the innovators of tomorrow. After leaving Lynn University early, Ms. Hatcher joined the ranks in corporate America, spearheading experiential marketing, product launches and social media campaigns around the country for companies like Nintendo, Sony, Microsoft and Mckee Foods. In the midst of the downturn in 2008, Ms. Hatcher lost her job. With only her savings and a desire to follow her dreams, she and her husband started a gourmet popsicle and ice cream catering company. Feverish Ice Cream & Gourmet Pops specialized in vegan friendly and spiked popsicles for events and retail and private label manufacturing. Ms. Hatcher moved the company from her parents’ Delray Beach backyard to enterprise-packed Miami and formed strategic partnerships with companies like Paypal, Google, Coca-Cola and Maker’s Mark before selling Feverish Pops in 2015. In 2012, Ms. Hatcher and her husband founded Code Fever, which teaches how to become creators of technology. It offers programs that merge tech skills training with real world entrepreneurship training – with the goal of helping students not just start up a company, but stay up and build sustainable enterprises. 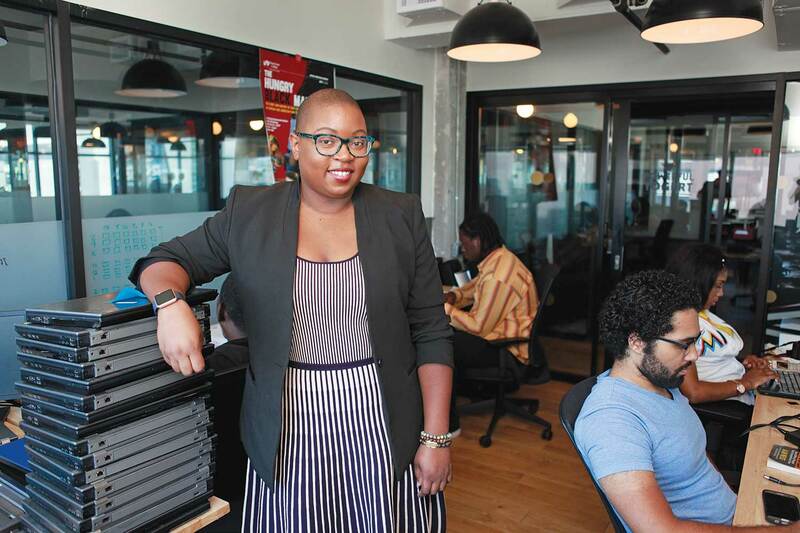 Born out of Code Fever, Black Tech Week is an annual six-day long festival of conferences that provides a national platform for minority entrepreneurship, minority employment and inclusive innovation, this year taking place Oct. 2-7. Ms. Hatcher has been honored at the White House twice, first in 2011 as a top entrepreneur and then in 2014 as a champion for STEM (science, technology, engineering and math) access. Miami Today reporter Camila Cepero interviewed Ms. Hatcher in a co-working space in South Beach.